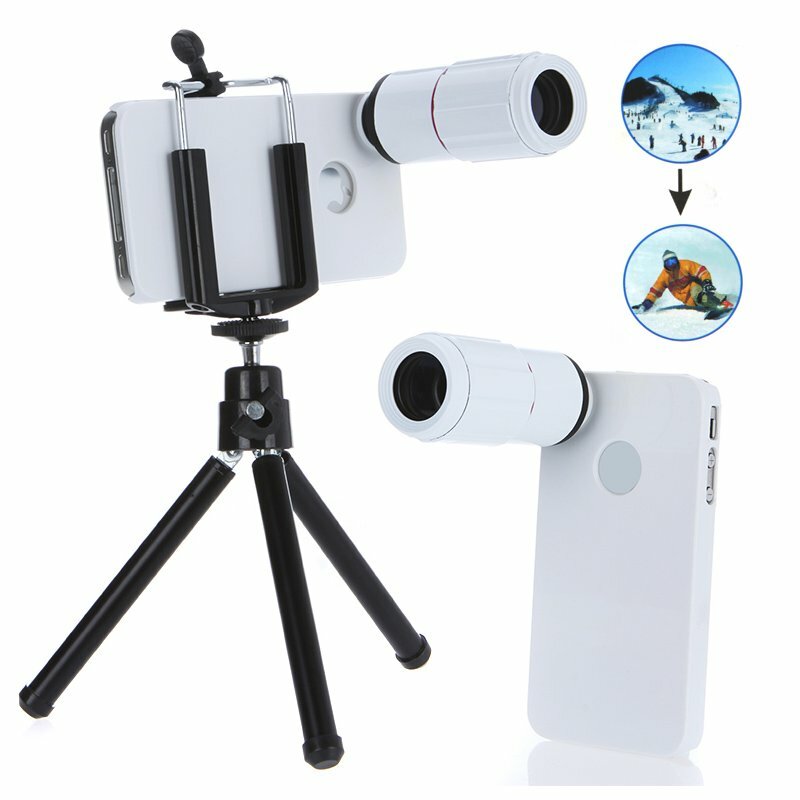 This mobile phone telescope is specially designed with a shell case for iPhone 4/4s. It has 8x magnification and 220 meter field of view. And it can be used to capture great images when watching sporting events, taking photos and videos of friends, traveling and so on. It is easy and convenient to use and a perfect choice for iPhone 4/4s users and lovers. Features a flexible handle in the universal holder for adjustment to fix and pull out phones.